We offer AIR FLOW DAMPERS for use in PROCESS CONTROL environments where ambient temperatures and gases are a consideration. 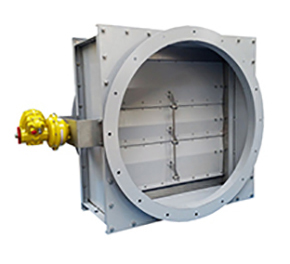 Our AIR FLOW DAMPERS are design for a wide range of temperatures to suit customer specification ranging up to 500°C. We are also offer Stainless Steel and specially treated AIR FLOW DAMPERS for use in corrosive environments.